Lisa Pitter-Sandler PA-C is a certified Physician Assistant who has been practicing medical, cosmetic and surgical dermatology in Manhattan and Long Island since 2005. Lisa received her bachelor’s degree in Biology and Fine Arts from Hofstra University. She graduated with a degree in Physician Assistant studies from Touro College of Health Sciences and subsequently completed her Post Graduate Surgical Residency program at Montefiore Hospital. Lisa is a member of the Society of Dermatology Physician Assistants as well as the American College of Phlebology. She specializes in surgical procedures including the removal of skin cancers and benign lesions, cysts, and numerous other growths. Lisa also specializes in vein removal procedures, laser treatments for acne, pigmentation, redness, photorejuvination, and resurfacing. She is an experienced injector with Botox and various dermal fillers. 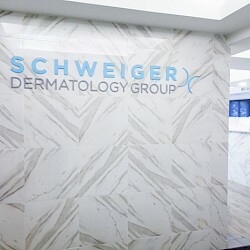 Lisa currently sees patients in the Long Island and Manhattan offices of Schweiger Dermatology Group.